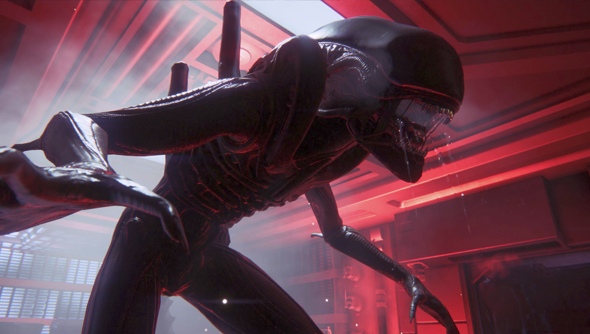 Creative Assembly’s Alien: Isolation has been scaring our collective pants off and that was without strapping on a virtual reality headset. Now, with a couple of tweaks to the game’s .ini file, you can put on your Oculus Rift and have the xenomorph try to tear your eyes out of their sockets. Neogaffers /u/popcorncrackle, /u/hagg87, and /u/Wookiee81 discovered the tweaks while exploring Alien: Isolation’s DATA bin. Next set the Oculus to extended mode and in the oculus configuration utility pause the service. Boom. You’re ready to go. It even works with positional tracking. So, head down to the shops, buy some nappies, some emergency recuperation chocolate, and let your neighbours know you’re not being murdered, your screams are just you playing a video game. If you can’t bring yourself to play Alien: Isolation just yet then you can read Steve’s review or watch Fraser play instead.